Have fun playing games while getting a chance to win great prizes. Play PCH Token Games and get a chance to enter to win tons of prizes from cash to gift cards to wine cellars, cameras iPods and much more. 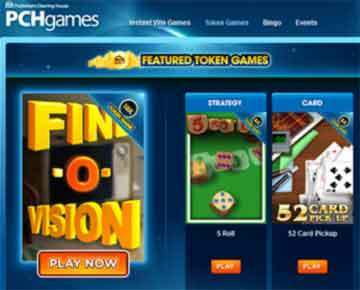 Here is how PCH token games work. PCH is also known as Publishers Clearing House Games. This is the company that offers big cash prizes for many simple things people do every day such as search the web, sign up for magazine subscriptions and so forth. When you join PCH games, you get a chance to have fun playing an array of games like lotto, word games, Tri Peaks Solitaire and even Blackjack. Many of the games can be played on desktop computers, smartphones and tablets. Take the fun of playing your favorite, addicting games wherever you go by signing up for PCH games. Get more info at PCHFrontpage. Once you sign up, you can start playing your games and earn tokens. 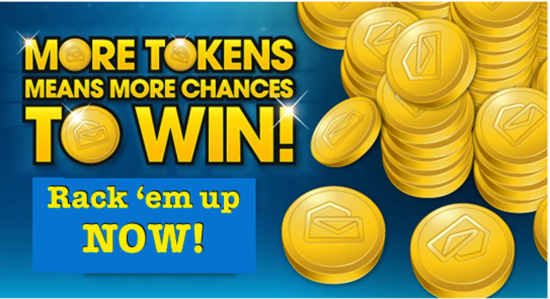 Tokens can then be saved up and used to enter drawings for many of the great prizes available from Publishers Clearing House. For example, pch games sign up with your email address, create a password and fill out your name and address. Be sure your information is accurate, so that when you win one of many cash prizes you are able to receive it in a timely fashion. Then, choose a game to play. Start with Sunken Treasures Gems of Atlantis. When your game is complete, you will get a chance to enter to win money. Play the next game that comes up on your screen and, if you do not win cash that time, you will notice that you do win a certain amount of tokens. Collect more tokens with every play and be on your way to winning big with PCH token games. Some pretty great prizes, right? And all just for redeeming Tokens for more chances to win, which you can amass every single day through playing at PCHgames, completing your cards at PCHlotto and PCHkeno, and searching at PCHSearch&Win and PCHFrontpage! would love to win big money. I am entering to win $5O,OOO.OO Cash Bonus from PCH Gwy No. 49O2 and the $5000 a week for life with Gwy. No. 4900. thank you PCH for this opportunity! I would love to win, I would love to pay off all of our loans, mortgage, and credit cards, I would love for my husband to retire from the post office, he has been there for 30years. He’s not even close to be able to retire. Don’t west your time I have over 2,000,000 tokens I tried to cash them in and I got nothing all the time working to win token for nothing. Hello PCH!! I really want to win but where n what do I look for? I have been looking how to WIN!! But it doesn’t show me what too… DO!! How can I activate my PCH give away #4900 to win it all 2 million plus 10,000.00 per month plus etc. Plus, Enter for win $7,000.00 A Week For Life On April 30th in a special early look event from PCH Gwy.No.4900&4650&PCHFrontpage today, you would also win a bonus prize of $25,OOO.OO from PCH Gwy. No. 49O2& 5165 2 entries for 10,000.00 TAX FREE !!!! I hope you have a great day all !!!! Yes, yes, yes PCH Token Games, pls Activate my Entry!!! Thnx Pauline…….